Handover of one of our favourite projects this year, converting a very dated 3-way bathroom to a large luxurious family bathroom. Part of the original client brief was a “seemless renovation with the rest of the home with no signs of the conversion”… looking forward to sharing some professional shots from our photographer of this one in the New Year that will highlight some custom cabinetry as well as some exciting products from Reece Bathroom Life and great tile choice from Beaumont Tiles. The team at Sydney Bathroom Co. is renowned for their commitment to their customers' vision and their homes. With over 15 years installing and renovating bathrooms, you can relax knowing that your vision is in the hands of HIA Award winning experts. 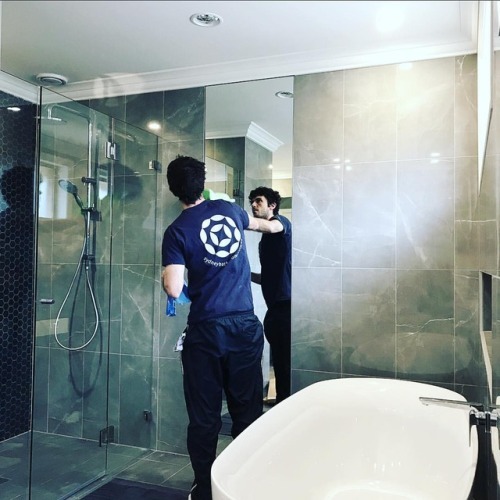 Providing an Award winning service, whether you are looking to add a bathroom or renovate, Sydney Bathroom Co. provides the knowledge and craftsmanship to achieve a seamless renovation that will bring your dream bathroom to life. For further information get a free quote today!